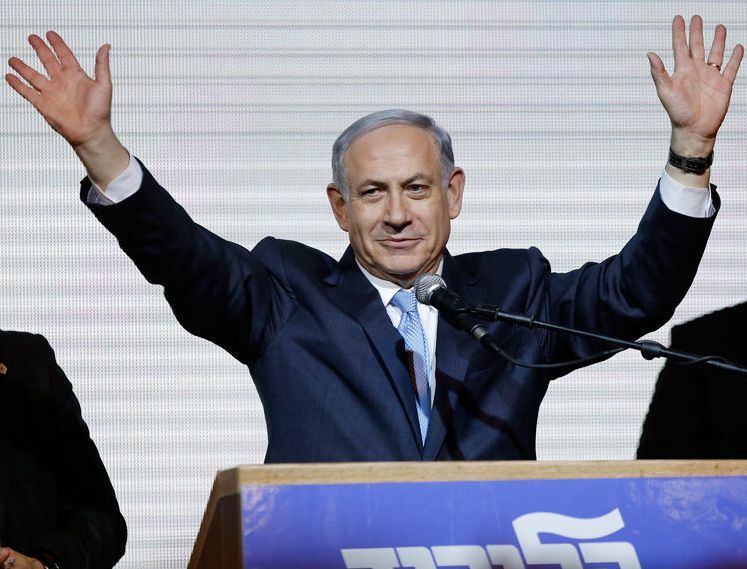 Binyamin Netanyahu’s Likud party owed its March 17 election lead of 30 seats as much to its rivals’ myopia as to the prime minister’s stunning last-ditch campaign blitz. The writing had been on the wall for weeks. On Feb. 13, debkafile reported that Netanyahu had taken to using Facebook to depict a semi-comic character on video clips that were catching on fast. But most pundits and the Tel Aviv-based political and academic establishments insisted that Bibi had had his day and the voter was bound to usher him to the exit. This assumption, which drew heavily on personal dislike, was reflected in all the opinion polls and the media. With one voice, they hailed the Yitzhak Herzog-Tzipi Livni partnership, whose parties merged to form the left-leaning, dovish Zionist Union (former Labor party), as Israel’s great white hope and the next heads of government after Netanyahu’s long years at the helm. 1. Negative electioneering rarely works. The opposition kicked off its campaign with the “anyone but Bibi” slogan and smear tactics against the prime minister, his wife Sarah and their personal lifestyle, as justification for Likud’s ouster and the left-wing camp’s installment in government. 2. Another opposition tactic which misfired was the campaign to demonstrate Israeli society as exploited and abused by a bad government which, for example, had run the health and education systems into the ground. The average Israeli has plenty of cause for complaint in terms of the crippling wage gap, lack of affordable housing, and a soulless bureaucracy. Clamors to address these malaises must and will be addressed. But by and large, many of the public services on offer are of a high standard compared with most Western countries. Unemployment is down to 5 percent, food prices are falling and the currency is strong. Potable water is in unlimited supply as a result of huge government expenditure on desalination plants; a highway and road network connects all corners of the country and a rail system is finally being built. Communications rates are cheap. Although the housing shortage for the average home-buyer far pre-dated the Likud-led government, the outgoing administration was on its way to providing solutions in response to popular pressure. Three of the five parties Netanyahu quickly approached to join his new coalition ran on a social ticket and are deeply committed to making life better for young families and the middle class at large. 3. Opposition parties claimed they lost the election because security issues overshadowed the economy. This too was groundless. The average voter not only re-elected Likud for another term, but shrank the smaller right-wing parties. This boosted Netanyahu’s support in parliament from a low 18 seats to thirty. With this setup, he need no longer be prey to the harassments of small partners, but will enjoy greater leeway for his government to get important jobs done. 4. A common convention has always been that an Israeli prime minister who falls out with an American president must go and make way for a politician able to heal the rift and restore good relations with Washington. — The average Israeli is a lot better informed on events taking place in the Middle East countries around his country’s borders, where he sees hotbeds of instability, civil war bloodbaths and galloping Islamic radicalism. In his six (interrupted) years as prime minister, Netanyahu established sophisticated defense fortifications in the north and the south. Vast national resources were also invested in upgrading the operational capabilities of the army, air force and navy. Therefore, another slogan hurled against him that national security declined on his watch failed to connect. — The Israeli voter was not so much worried by the way Netanyahu stood up to President Barack Obama’s policies in the Middle East as he admired his pluck in defending national interests. Herzog and Livni’s pledge to improve relations with the Obama administration, instead of being a vote-catcher had the opposite effect. While better relations are desired, the average Israeli is not prepared to pay for them by concessions on security. — The two most recent waves of immigrants to Israel from Russia and France have altered Israel’s demographic makeup and colored its perception of national and security issues. Neither group is stranger to brushes with radical Islam, on the one hand, or arguments with the United States, on the other. Both prefer pro-active responses to hostile challenges rather than knuckling under. Groups with this attitude tend not to be attracted by dovish, left-leaning politicians. — For all these reasons, the conflict with the Palestinians became sidelined in the election campaign as a non-issue.